The number of bars on your iPhone? It's a good indicator of cell phone signal strength, but it's also subjective and not exactly accurate. Why? That's because there is no industry standard for the number of bars on our phones and signal strength. In fact, it's different across all carriers (& even different iPhone models). What's 1 bar of 4G LTE on Verizon might be 2 bars on AT&T, 3 bars on Sprint or 4 bars on T-Mobile DESPITE receiving the exact same signal and performing at the exact same speeds. 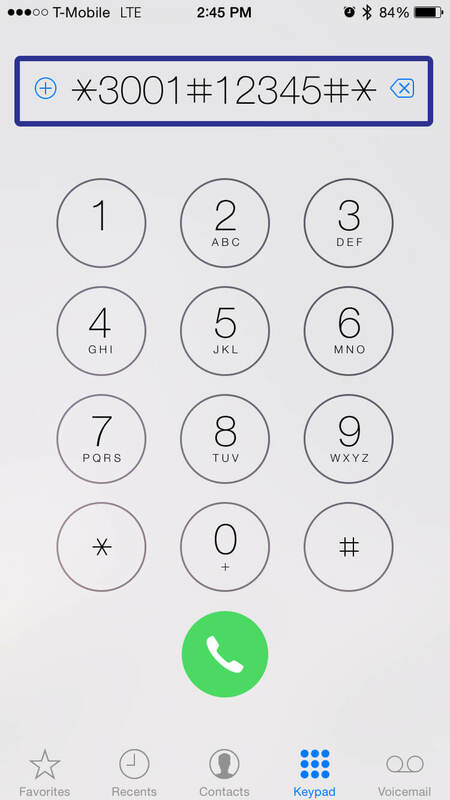 So what's the most accurate way to know your true signal strength on your iPhone? Field Test Mode (or field service mode) is the most accurate & scientific way to read signal. Cell phone frequencies are basically radio waves that are measured in decibels (dB). -50 dB is great signal (full bars). -120 is very poor signal (a dead zone). This is true for all phones & all cellular devices for ALL carriers in North America. No ifs, ands, or buts. 4. Swipe down for the notifications bar. The dB reading is on your upper left-hand corner. Remember -50 dB is great signal and -120 dB is poor signal. Readings take a few seconds (from 15 to 45 seconds depending on the carrier) to update the dB values, so walk slowly and take your time. See which areas get closest to -50 dB. Once you find that one location that gets consistently better dB reading, it means you've also located the general location of your cell tower. Bonus! Congrats, now you accurately know the scientific signal strength of your 2G, 3G, 4G LTE frequency on your iPhone. If your signal is great, then enjoy your fast streaming internet and crystal clear talk & text. If your signal is poor, then it's either one of these problems or a combination of them listed below. This is usually the biggest factor of poor iPhone signal, especially in the countryside in remote rural areas when you're off-the-grid. As for city folks, not much of a problem unless you're living in a fringe area. Another big reason why signal is poor. With homes built with any type of metal (steel, iron, etc), concrete, energy-efficient material and/or designed with thick walls and other modern construction, they greatly impact signal from coming in. Even with great signal outside, building material has the ability to weaken or even block signal from reaching your iPhone. Cell phone signals have to travel a great distance from the cell tower to your iPhone. And there are many things in between that can easily disrupt cell signal. In the countryside, that would be trees, mountains, and valleys. In the city, it would be other buildings, tall structures, and other urban developments. Cell towers are able to service hundreds even thousands of users. But if everyone is on at the same time? Slow service. Even weather can affect cellular frequency. Rain, thunderstorms, snow, and even wind can impact the strength of your signal. So is there a solution to get better signal on your iPhone? First, we'd recommend finding the location of your nearest cell tower. Because it would guide you in understanding which carrier might potentially serve you best. Lastly, if you have more interest about learning which specific cell phone booster is right for you. We have an in-depth guide about finding the right signal booster for any situation.